The left lies and claims this is about denying women birth control. It never was. Hobby Lobby covers 16 of 20 forms of birth control included in the Obamacare mandate. They just don't want to cover the ones that terminate life after conception. It's about abortion, not contraception. 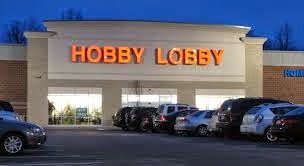 The Green family has no moral objection to the use of 16 of 20 preventive contraceptives required in the mandate, and Hobby Lobby will continue its longstanding practice of covering these preventive contraceptives for its employees. However, the Green family cannot provide or pay for four potentially life-threatening drugs and devices. These drugs include Plan B and Ella, the so-called morning-after pill and the week-after pill. Covering these drugs and devices would violate their deeply held religious belief that life begins at the moment of conception, when an egg is fertilized.